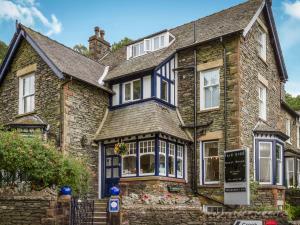 Fair Rigg Guest HouseFair Rigg is a fine Victorian Guest House enjoys a rural setting on the edge of Bowness, with magnificent views up the lake to the fells beyond. Designed to take full advantage of its lovely hillside position, it has been most carefully refurbished to provide comfort and relaxation in stylish yet homely surroundings, with an abundance of antique, reproduction and contemporary furnishings, paintings and prints. It is the home of Richard and Christine Shaw, where you are assured of a warm welcome and friendly personal service. Fully refurbished to a very high standard, retaining many splendid original features and providing a most civilised and pleasant place for a holiday - Country Living Magazine-Guide to Rural England. Fine views of Lakeland and hills. Nearly all rooms enjoy the lake view, including our elegant bay-windowed dining room. 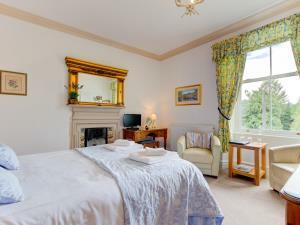 Bedrooms comprise 3 king-size, 2 double and 1 with twin beds and they are all en suite, some with bath, and well-proportioned, with plenty of room for spending the evening in. They are individually designed and decorated to create a relaxing ambience, and fully equipped, including flat-screen TV with DVD player. Free Super-Fast Wi-Fi in all rooms. We are fairly close to the lakeshore and in an area where a wide range of land and water-based activities are available. One of our rooms is on the ground floor with step-free access from the car park. Children welcome from age 14. Fair Rigg sometimes limits bookings to 2 or more days. 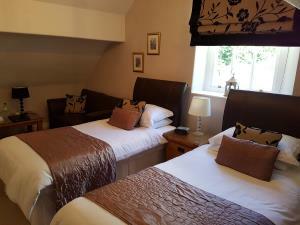 Spacious room with views over fields and trees to lake and fells. Comfortable king-size bed and chairs. Bath and shower. Free Wifi available. Room 1 sometimes limits bookings to 2 or more days. Spacious room with pleasant outlook onto woodland. Comfortable bed and chairs. Free Wifi available. 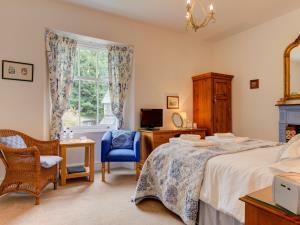 Well proportioned room with view over fields and trees to lake and fells beyond. Good sized, comfortable beds. Comfortable chairs. Bath and shower. Free Wifi available. M6 jct 36, follow A590/591 for Windermere, Kendal and South Lakes. At roundabout north of Kendal turn left on B5284, signed Hawkshead via the ferry. At T-junction in 12 minutes, Fair Rigg is on the left. Ignore your Sat Nav if it tells you to bear left about 300m from us, keep straight on!! From Windermere Railway Station, take a taxi. Richard and Christine are exceedingly friendly, genuinely caring, and most helpful. They operate a very clean and nicely appointed guest house. 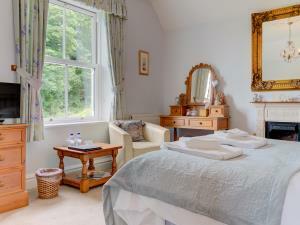 We thoroughly enjoyed our four-night stay at Fair Rigg, and we highly recommend them without reservation. Hi John & Caro Ann, thank you so much for this brilliant review, you are a lovely couple and it was great to have you stay with us for a few days, I hope that your flight back home went smoothly and we look forward to welcoming some of your friends here very soon!